I am a little dog with BIG DREAMS. Right now, a big dream of mine is actually possible, but I need the help of all my friends...so gather 'round, and let me tell you about it. By now everyone should know how much I love BlogPaws. They are the premiere pet blogging and social media company that brings pet bloggers, pet parents and pet companies together to do wonderful things all in the name of us pets. Well, "Awards Season" is upon us and the BlogPaws team is currently taking nominations for the 3rd Annual Nose to Nose Awards. I am both a pet blogger and what they call a "micro blogger" (someone who uses social media such as Facebook and Twitter as part of their online presence), so there are several awards that I am eligible for. They have a total of 12 Nose to Nose Awards!! 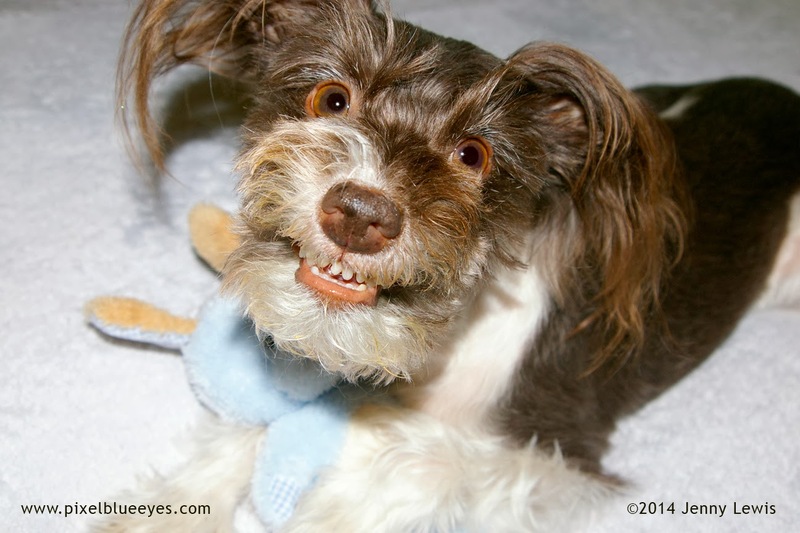 I went to my very first BlogPaws conference last year, in May 2013. 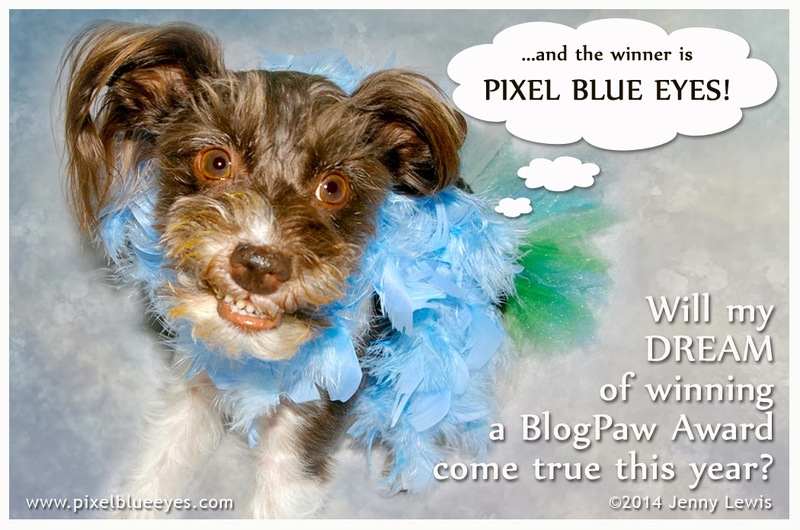 I remember sitting in the audience during the 2nd Annual BlogPaws Nose to Nose Award show thinking, "I wonder if I, Pixel Blue Eyes, will ever get a chance to be one of those winners..." Well, now is my chance! The knowledge and friendships I've gained from being a part of the BlogPaws community, my experiences at the conference, and the opportunities I've gained from all of this has been extraordinary. I have grown so much as a blogger and can't wait to do even more! Writing this blog for you has brought me such joy and I hope that I've brought some joy and laughter into your life as well. I'd be honored if you would consider nominating me for one (or several) of the awards. It's really easy to do, and I will give you all the information you need below. How often do I make you LOL, BOL, or even MOL (meow out loud)? Here's some of my personal favorites that were a huge hit, along with the direct link to each post! Whether for my Blog, Facebook page, or Twitter page...you know you like it. (Do you enjoy my Pixel Blue Eyes Facebook and Twitter pages? How about my No Tail Left Behind Facebook campaign page? Well, they both count here, so why not nominate them both! A panel of professionals will judge the candidates based on creativity, expertise, and performance. NOTE: During nomination, participants will NOT be required to garner votes or drive likes to their social media sites. Whew! Thank goodness for that! 1. Anyone can nominate a blog. That means YOU my friend. 2. There is no limit to the number of nominations you can make! As many blogs and as many nominations as you'd like. 3. Bloggers are judged on their expertise, creativity and performance in one or more of the 12 categories. 3. Nominations WILL BE CLOSED by 11:59pm EST on Wednesday, February 12, 2014. So get those nominations in as soon as you can. 4. 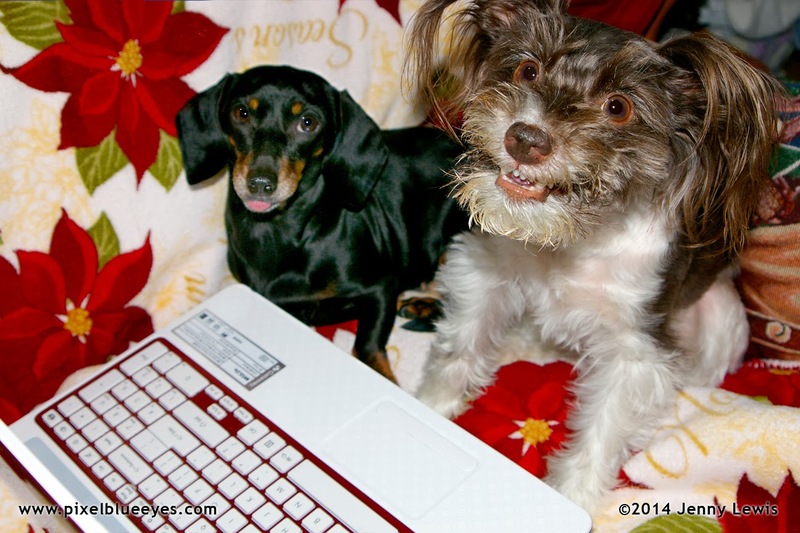 The winners will be announced at the 2014 BlogPaws Conference in Lake Las Vegas, Nevada on Saturday night, May 10, 2014 during a glamorous live broadcast award show and banquet. 1. Select (click on) a photo you like in my blog or Facebook page. It will open up sort of "above" the browser window. 2. Right click on the photo and select "copy image URL". 3. Double check that the link works by pasting it into a new window or tab to see if that exact photo shows in a new window. 4. After verifying you copied the URL correctly, paste it into the "Best Pet Blog Photo" nomination form. Okay friends, I've given you all the information you need. 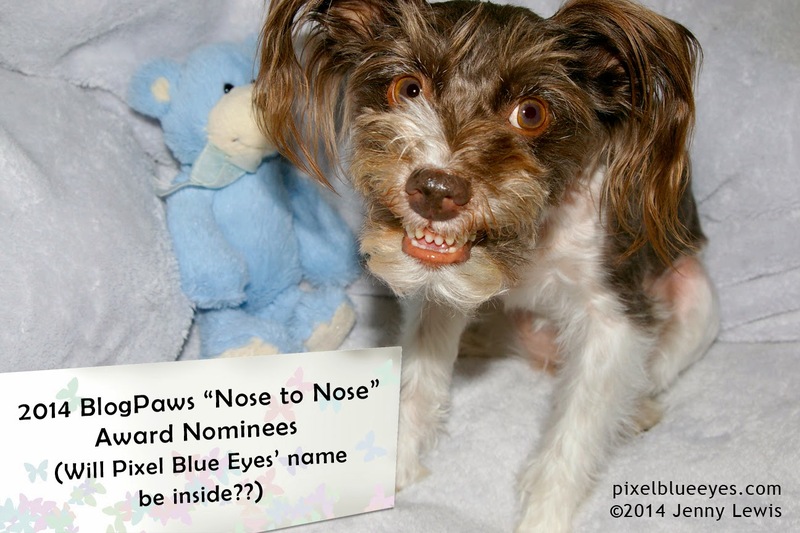 Now, go and nominate Pixel Blue Eyes and ALL your favorite blogs and photos for the 2014 BlogPaws Nose to Nose Awards!! we always love Pixel and her cute antics, as well as her great message ! Quite a lively, animated little supporter you've got on your team.